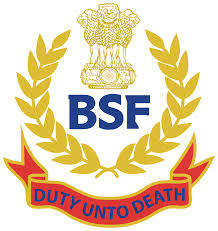 Border Security Force (BSF) (Ministry of Home Affairs) invites applications for the post of Assistant Commandant (Works) meant for ST Category Non-Ministerial (Combatised Post) in BSF on Deputation Basis. Applications of willing and eligible candidates should reach this office within sixty (60) days of publication of this advertisement in the Employment News dated 27th February to 4th March 2016 Issue (i.e. Last date may be 26/04/2016).